The Paris Agreement is an agreement within the United Nations Framework Convention on Climate Change (UNFCCC), dealing with greenhouse-gas-emissions mitigation, adaptation, and finance, signed in 2016. The agreement's language was negotiated by representatives of 196 state parties at the 21st Conference of the Parties of the UNFCCC in Le Bourget, near Paris, France, and adopted by consensus on 12 December 2015. 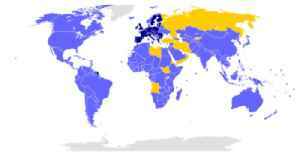 As of March 2019, 195 UNFCCC members have signed the agreement, and 185 have become party to it. The Paris Agreement's long-term goal is to keep the increase in global average temperature to well below 2 °C above pre-industrial levels; and to limit the increase to 1.5 °C, since this would substantially reduce the risks and effects of climate change. 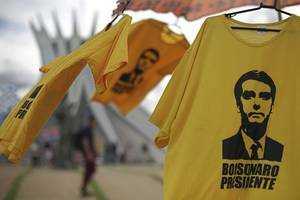 The American Museum of Natural History in New York said on Monday it will no longer host a gala dinner which was planned to honor Brazil's new far-right President Jair Bolsonaro as "Person of the..